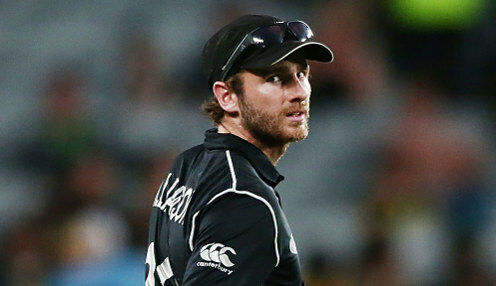 Captain Kane Williamson praised New Zealand's opening batsmen for their roles in the four-run win in the deciding Twenty20 international against India. Selectors gave wicketkeeper Tim Seifert his first chance at the top of the order in the three-match series and saw that move pay off, while his opening partner Colin Munro top-scored in the Black Caps' victory in Hamilton, with 72 from 40 balls. Seifert didn't make much of an impact with the bat when he played his first three ODIs for his country last month against Sri Lanka. He's now played 11 times for the Black Caps in the shortest form of the game, though, and was named man of the series against India as he showed he can cope with the pressure of opening the batting. Having top-scored with 84 in the first match of the series, he made 43 in the decider at Seddon Park and combined with Munro for an 80-run stand. Williamson said of Seifert: "We've always seem Tim as having a huge amount of talent and we've seen it in the domestic T20 comp. "To go out with that free licence to take the game away which is when he's at his best, and to come off with a couple of fantastic performances was great for his confidence and really good for our team collectively." Munro, who was named player of the match, was also praised as "fantastic" by the captain after the victory. He returned to form in the shortest form of the game, where he now averages 33.59 at a sizzling strike rate of 161.99. It was a timely big knock as he has been left out of the first two ODIs of the series against Bangladesh due to a lack of runs in the 50-over format - his ODI average is 25.28 average at 105 runs per 100 balls. New Zealand are 1/5 to win their first ODI against Bangladesh, who are 7/2, with Williamson 5/2 to be the Black Caps' top batsman.